Rio Negócios – Why invest in a business house like Casa Rio? 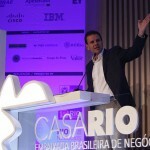 Eduardo Paes – Rio de Janeiro has become a global city, able to compete for foreign investments. 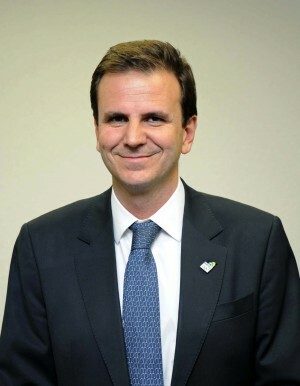 The “discovery” of Rio de Janeiro, made possible by major sporting events, is a unique opportunity to promote the evolution of the city’s business environment, its economic vocations and investment opportunities. In this year before the Olympic Games, we want to focus the city’s investment attraction operation and promote networking between companies already installed here with international partners, in order to boost job creation. We are not empty handed. After all, Rio concentrated the largest volume of investments in infrastructure projects and we are a unique case of a city with an investment grade higher than its state and federal governments. RN – What is the expected returns for this investment? 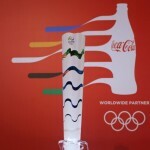 EP – During the London Games, in 2012, and the World Cup last year, we held an embryo of what will be Casa Rio. In all, teher were 12 sectorial conferences, that attracted approximately 1.400 companies and achieved eight international projects for Rio and another six for the country. With Casa Rio up and running for a whole year, the benefits should be even greater. More investments, more job creation, the economy heating up and quality of life improvement.